Looking for pretty roses near Darlington? We have a big range of them on display at Whitegates Nursery in Northallerton. Among all our ranges of flowering plants, our variety of roses – be them a David Austin breed or wild ones – have always captivated our visitors with their many beautiful shades – red, pink, yellow, white, blue, and so on – and scent that lingers in the memory for days. By most people’s standards, a rose in full bloom beats the beauty of any other flower one would ever come across. The artistic arrangement of its many petals, the proud length of its stalk, the majesty of its alluring colour, and the mild scent that permeates into the mind are but few of the many qualities that make a rose most dear to those who love flowers. Shrub roses to be the centre of attention in your garden’s flowerbeds, filling it with their colourful bunches and enchanting aroma throughout summer. Patio roses that you can keep in small containers to decorate your doorstep with colour and scent to impress the weekend guests. Climber roses so your garden trellis is not covered with any flower other than the beautiful rose in its blues, reds, pinks, and yellows. David Austin Roses to help you keep the designer rose in your garden and brag to your guests about exactly how the best breeder in England created your rose. Visiting our nursery premises to find roses near Darlington has the added advantage of getting first-hand expert advice from our staff who adore roses. During your visit, you can ask our friendly experts any questions you might have about your garden’s collections of roses. They will be happy to tell you which type of roses would suit you best according to your limitations of room, budgets, or range of plants in the garden. Get inspired by more of our homegrown plants here. David C. H. Austin is certainly one of the most celebrated rose breeders in Britain’s history if not the best one. Over the last 60 years, during which his hobby of growing beautiful roses has become the quest for the perfect rose, David Austin has created some of the most stunning roses. At Whitegates Nursery, we make sure our rose displays have a separate section for David Austin Roses. 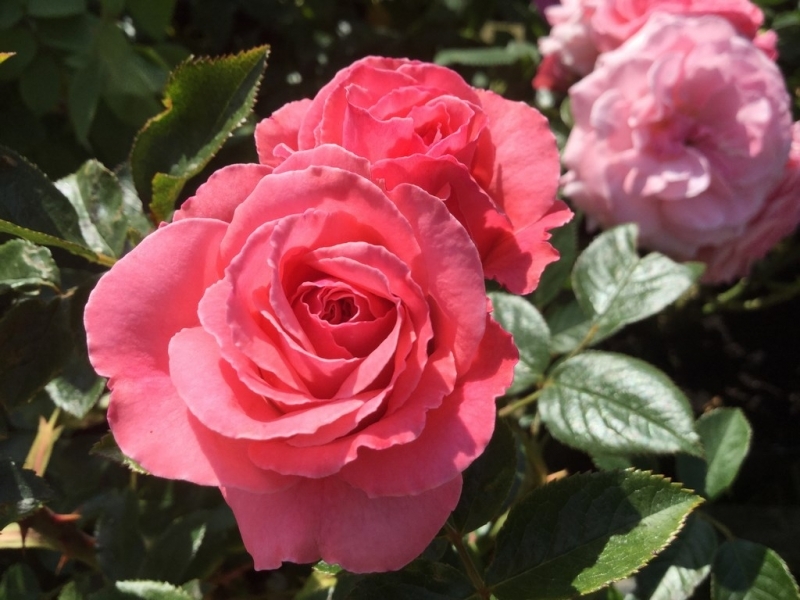 Since these breeds have become the most popular – not to mention most respected – among all rose breeds available today, many of our customers come over with the name in mind, and we make sure they do not leave empty-handed. 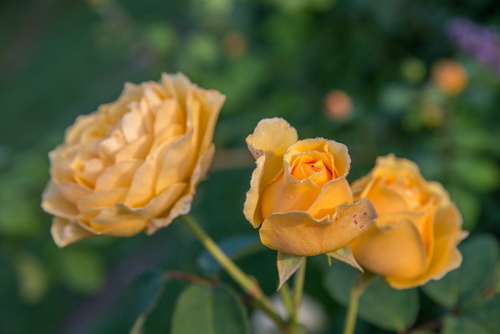 Among our climbing roses, you will find the dazzling Claire Austin ready to soothe your soul with her pearly white hues while The Pilgrim’s bright yellow will excite your imagination. To find the best David Austin shrub roses near Darlington, you will have to travel to Whitegates Nursery and witness the charm and many colours of The Lark Ascending, Susan Williams-Ellis, Princess Anne, Lichfield Angel, and many more. We have no shortage of David Austin Roses because we know our visitors love witnessing them and taking them home. As lovers of roses, all flowers, plants, and trees, we make sure we treat our customers as fellow hobbyists and not customers. This is one reason why our staff are always so friendly and why you get the best value for your money buying from us. You will not find better prices for the quality of plants and roses we have in our stock anywhere in the whole county. We are available throughout the week, including Saturdays and Sundays, so you can visit us with your family, get the plants you love, complement these with the right containers and enjoy a cup in our elegant tearoom. Visit us this week and witness the best variety of roses near Darlington you will ever see.